Judge Gisela Triana has over 22 years of experience on the bench. She has served on every level of Texas trial courts, making her uniquely and exceptionally qualified to bring fairness and balance to the Third Court of Appeals. As judge of the 200th Judicial District Court of Texas since 2005, Judge Triana has presided over hundreds of cases, involving complex civil cases and important issues that impact people’s lives. 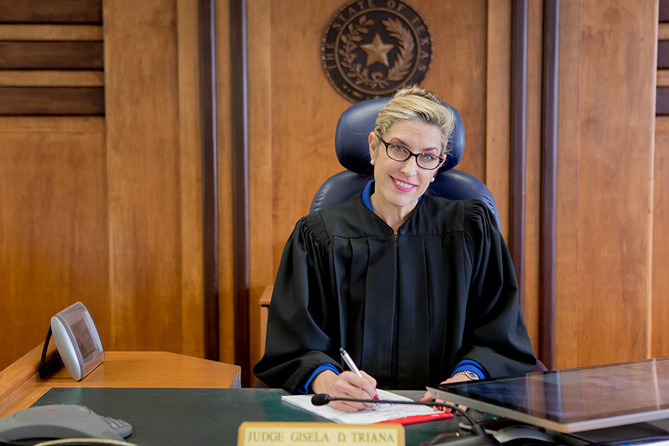 Prior to serving as a District Judge, Judge Triana served as the Judge of Travis County Court at Law #5 from 2000 to 2004. In that Court of criminal jurisdiction, she is recognized for stabilizing the Court’s docket and disposing of a massive backlog. Judge Triana has also served as a City of Austin Municipal Court Judge and as Travis County Justice of the Peace #5. She is well known for being fair, deliberate, courteous, and for her willingness to listen to all sides of a case. Judge Triana’s legal experience extends beyond her service as a Judge. She has served as a prosecutor in the Travis County Attorney’s Office, where her work included representing victims of domestic violence and where she served as the Director of the Trial Division under David Escamilla. She served as a Staff Attorney in the Texas Secretary of State’s Election Division. She has also run her own private law practice, focusing on criminal and family law. “I have presided over all levels of our state trial courts, dealing with a broad scope of legal issues, for 22 years," says Judge Triana. “A good Judge develops balance, fairness, and perspective. My professional and personal experience will help me bring a seasoned approach to the Third Court of Appeals." 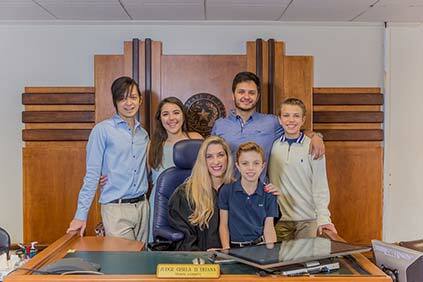 Judge Triana’s service extends beyond her years of work on the bench. She has participated in Austin Lawyers and Accountants for the Arts, Volunteer Legal Services, Legal Line, the Pro-Bono College, Habitat for Humanity, Special Olympics, the Children’s Justice Act Task Force, Travis County Juvenile Board, Travis County Child Protective Services Board; Chaired Middle Earth (helping homeless youth in Travis County), and has served as an Eucharistic Minister at the University Catholic Center. Judge Triana graduated from the University of Texas Law School, and has conducted training sessions for judges all over Texas on legal matters such as emergency protective orders, arraignment, magistration and legal procedures. She has been a faculty member of the University of Texas International Office’s U.S. Law Program, which instructs foreign judges and lawyers on United States Law. 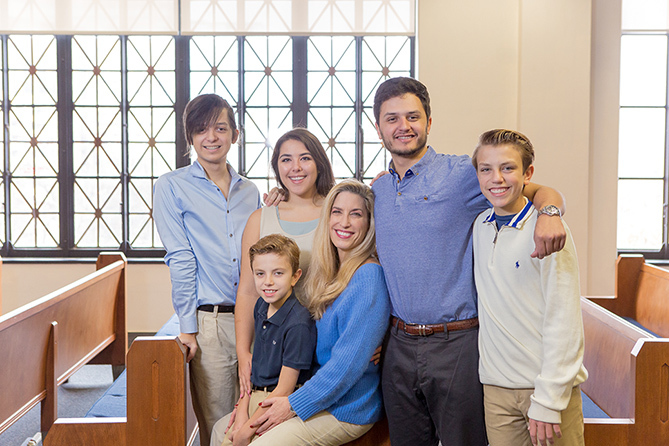 She is a devoted Mom to five children and has been an active supporter of her children’s public schools, enjoying the full range of academic, cultural and sport opportunities that we are so fortunate to share.